The Doubletree Beach Resort was the all inclusive location we searched the beach for. 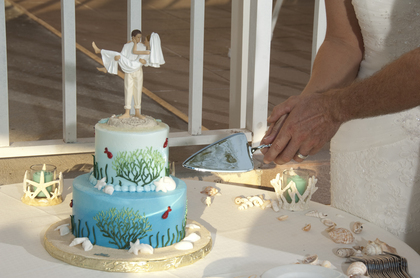 The views, the food, the service were as good or better than the most expensive venues on the beach, for much less money! Redington Beach offers easy access to shops, vendors, restaurants and motels, especially with the trolley available all the way up and down the beach. The Doubletree Beach Resort offered both a ceremony location on the beach, as well as an outdoor location for our very small wedding reception (16 guests), but could have accommodated many more on the mid-deck where we had our reception, or upstairs in the Sunset lounge, made for larger events. The Doubletree provided an indoor backup for the day of, which to me was the deciding factor! The service and vendor suggestions from the Doubletree were top notch! 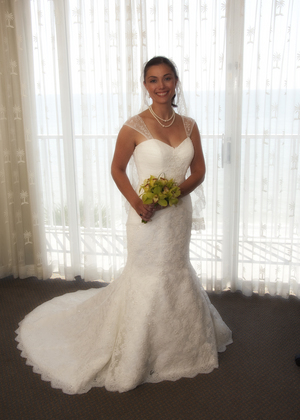 I highly recommend booking your wedding through the Doubletree! The cake flavor was outrageous, we all loved the Key Lime Cake with Lemon Filling, we just wish there had been more filling. 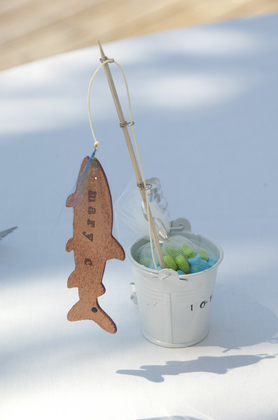 The decorations were as requested, very sweet and personal for us. Overall, I would recommend this vendor for a flavorful cake! 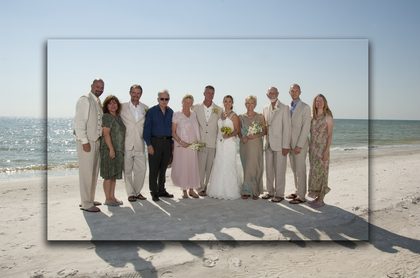 We held our ceremony during the afternoon, on a beautiful day, so the beach was crowded with sunbathers. 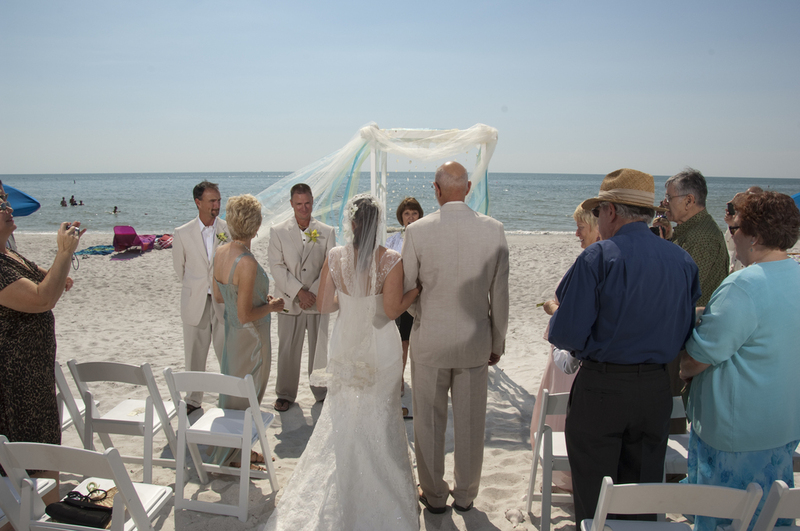 To us, it added the atmosphere that we love about the beach, but other people may not appreciate having sunbathers so close to their ceremony. 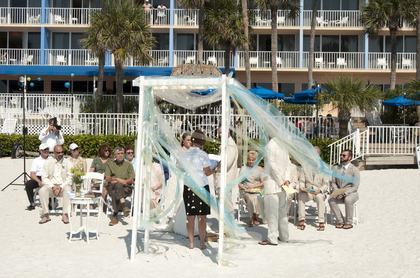 (a later ceremony start time will minimize the sunbather issue, I believe) The Doubletree provides an arbor, chairs, and optional columns, for the ceremony, but if you would like them decorated, you have to hire someone or set it up yourself. 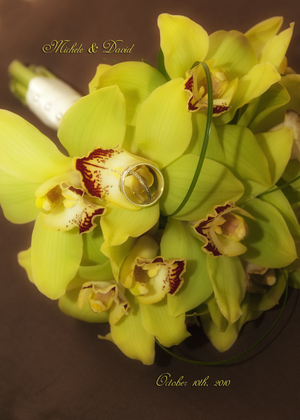 The guests were kept indoors in the air conditioning for as long as possible until it was time for the ceremony. Marie did a great job of coordinating where and when everyone needed to be, so she was very helpful! The staff decorated the reception area, putting much time and thought into the design. They moved umbrellas around to best shade our guests, which they appreciated, as it was hot and bright. The food was amazing! I've never had a better piece of pork, it was juicy, well cooked, and the spicy jerk gravy on top was awesome! Everyone loved the food! The Doubletree also offered us a room for the big night, with champagne and strawberries delivered to our room! The bed, the linens, the view, the sound of the waves, were all amazing and just what we pictured for our wedding night! Thanks Doubletree! I highly recommend calling them for your event! Cleaner, newer and nicer (right on the Gulf!) than pretty much any other motel or hotel we scouted for our trip, the Sandglo Villas were our top choice. Unfortunately, we requested one of the units that was unattached from the other units, but when we arrived we were told there are no guarantees when it comes to which unit you're getting. The unit we got was not properly cleaned when we arrived. The floors were covered in a layer of sand, obviously not swept before we arrived, the bathroom sink still had toothpaste and spit in it, and the garbage in the bathroom had not been emptied. A foul odor came from one of the rooms for half a week before someone looked under one of the dressers and located a putrid milk bottle as the source of the smell. The fellow guests were not quiet, when they arrived in the evening, all their lights would come on and remain on until sunrise the next day, they would smoke and drink and chat directly beneath our windows LONG into the night (2am or more). Between the lights and the noise our windows and shades all had to be shut instead of open for us to enjoy the sound of crashing waves to lull us asleep. One evening we took a walk on the beach and the Sandglo was by far the most lit up location on the whole beach. It made enjoying the night very difficult. The back room, that faces the street instead of the beach was not fit for sleeping in either, since the four air conditioner units for the villas in that section are all directly on the other side of the wall from the room. The hum, the vibrations, the noise, kept more than one person awake in that room. Eventually we took the mattress from that room and moved it out onto the foldout couch in the living room and used that as the second "bedroom"
Kat was nice, the breakfast she cooked Sunday was amazing! She attempted to accommodate us by asking her guests to keep it down (the next day), and saying the A/C repair man would have to look at the units again. The price and location were awesome, unfortunately, the organization (if we reserve a particular room, we should get it!) and respect (time to turn the lights off and keep it down) need to be brought up to the level one would expect at this kind of location!